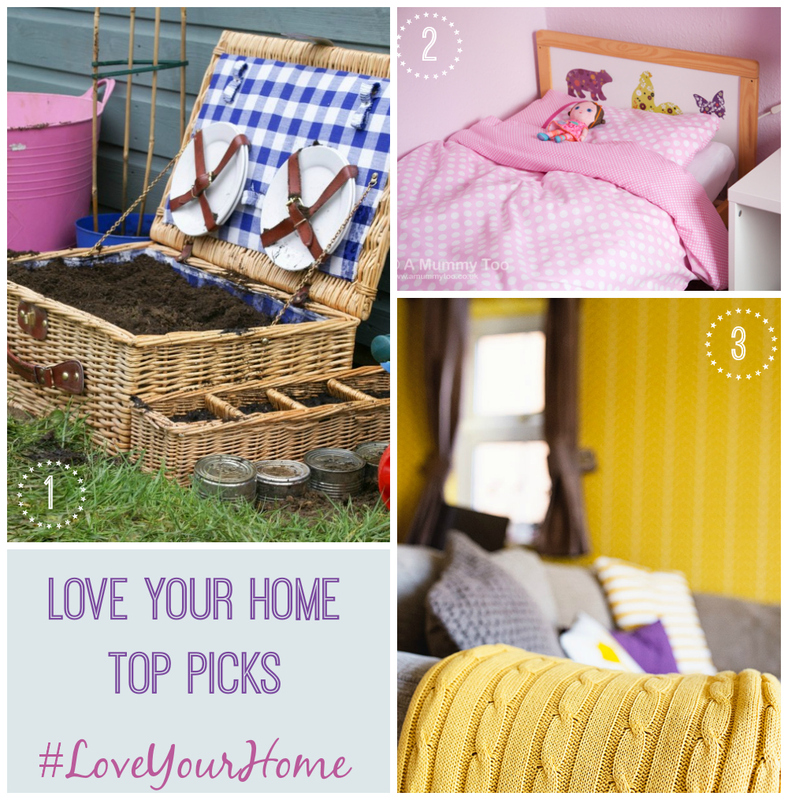 Wow, another great week on the #LoveYourHome linky. Thanks so much to everyone who has commented, shared or joined in, I hope you’re enjoyong the discovery of all of these great posts. I know I love discovering some of these lovely new blogs, and finding such inspiration there too. There was a great turnout again and I hope this continues. As part of the linky fun, I’m tweeting, commenting and pinning all of your posts. The pins will go into the Love Home Bloggers collaborative board, and if you’re a regular write of home interiors posts, and would like to be added as a collaborator on that board, let me know. All I ask is that all pins lead back to a blog post. On the topic of Pinterest, I’m also going to pin the great posts out to other boards I’m a collaborator on, which should gain more traffic. It helps if you have a great image, or badge that I can pin out. Make sure it’s a portrait image that showcases your post, ideally around 800×600 pixels and if you like, why not turn it into a badge and add a little text. You can use Picmonkey to do this. It will really help your pin fly on Pinterest and let me know that you’re keen on having it pinned too. So, over to this weeks linky. If you’ve written a post that relates to the home or garden in the last week or so feel free to add it to the linky. It might be a review, a makeover, or considerations for a makeover. You might be showcasing some fabulous products you’ve discovered, some great designs you love, or simply rambling about the lack of storage in your home. It’s pretty simple, if it is home or design focused, add it to the linky. Just discovered this – what a lovely idea and a great way of discovering new blogs! I haven’t anything to add to the linky at the moment but have enjoyed having a peek at other people’s posts. The retro room is fabulous – what a transformation! oh what a lovely linky! i so need to try and join in! Thanks so much for hosting this linky! It’s my first time visiting. I’d love to join as a collaborator on the Love Home Bloggers Pinterest board – please let me know if there’s anything you need from me to make that happen! Hi Ashley, lovely to see you here and thanks for joining in! I’ve found you on Pinterest, and added you as a collaborator on the board – welcome! Have fun pinning. For sheer nosiness alone, I adore this linky. It’s better than half an hour on Right Move 😉 I must remember the portrait shot for Pinterest. I think 99.9 percent of my pictures are always landscape. I look forward to having a read and comment on these, as well as your top picks. I really need to rejig my home and decorate. I’m hoping to refresh it over the summer months so that I can be content by winter. I love some of the tips on here! Thanks so much for including my picnic basket link this week! I’m just loving this link up, such a great idea to gather inspiration.